Nearly two years ago, former NSA defense contractor and CIA employee Edward Snowden released classified materials on the NSA's data collection programs to the media. Since that time, examples of overreach by the NSA have continued to surface, including reports that the Agency violated rules regarding the monitoring of telephone records and misled the court charged with authorizing such surveillance. Following these revelations, the House Judiciary Committee worked during the last Congress to end the NSA's bulk collection program by conducting oversight of intelligence-gathering programs and approving bipartisan legislation, which ultimately passed in the House of Representatives. However, the Senate failed to pass legislation on this issue. This week, the House Judiciary Committee introduced an updated, bipartisan bill that goes even further in strengthening oversight and improving accountability of the intelligence community. This legislation, which Congressman Forbes is cosponsoring, ends bulk data collection under Section 215 of the PATRIOT Act. Additionally, the bill prioritizes transparency and information-sharing with the American people by creating a more robust government reporting system, whereby the Attorney General and the Director of National Intelligence will provide the public with detailed information about how they use these national security authorities. It also provides for national security by enhancing investigations of international proliferation of weapons of mass destruction. Question of the Week: Do you support legislation that ends existing bulk collection practices while also protecting U.S. national security? This Saturday, our friends at Young Americans for Liberty are having their state convention on the campus of Virginia Tech University in Blacksburg, VA and you should consider joining them for this great networking opportunity! The CATO Institute's David Boaz, the Foundation for Economic Education's Lawrence Reed and University of Virginia Professor Jim Lark will all be speaking at this exciting event, see the email below for details and to register! So you're a college or local activist. Have you ever thought of fighting for freedom full-time? Get a job in the liberty movement! In just a few weeks we're hosting the YAL Virginia State Convention. This is the perfect opportunity to see what's out there and get to know YAL's sponsoring organizations. Do your future a favor and register today. 1.) Meet all of YAL's convention sponsors. They can tell you how to go about seeking job opportunities and internships. They are all looking for motivated, talented, passionate activists like you to employ and expand the movement. 2.) Make friends with other liberty activists. Having as many people working together as possible is crucial for maintaining a healthy community. Many activists will go on to do great things for liberty. So go to our post-event social and be one of them! Just so you can plan ahead, here are the sponsors you'll want to meet. The Leadership Institute is a training ground for all libertarians and conservatives. They identify, recruit, train, and place activists in government, politics, and the media. They're schools range from campaign trainings to television workshops. Based in the D.C. area, they also take their trainings directly to students across the country and the world. FreedomWorks breaks down the barriers between the beltway insiders and grassroots America. They desire less government, lower taxes, and more economic freedom. They seek to keep voters informed about policy making to hold Washington accountable to the citizens that put them in office. 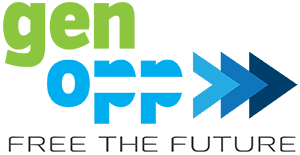 The Charles Koch Institute is an educational organization focused on the importance of free societies and how they increase well-being for the overwhelming majority of people. Through the Institute’s professional education, research, and training programs, they work to prepare professionals for careers that improve well-being by advancing free societies. Reason Foundation advances a free society by developing, applying, and promoting libertarian principles, including individual liberty, free markets, and the rule of law. Reason has internship opportunities year-round in both the Los Angeles and Washington, D.C. offices, in policy research, journalism, video production and fundraising. The Tea Party Patriots stand for personal freedom, economic freedom, and a debt free future. They pursue the American Dream and strive to keep that dream alive for future generations. They provide a valuable network and opportunities to get involved in their events and groups to voice the concerns of like-minded individuals. 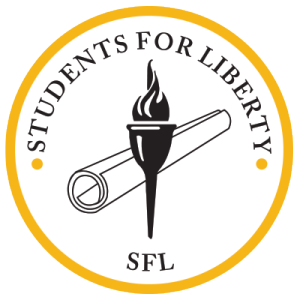 Students for Liberty is a rapidly growing network of pro-liberty students from all over the world. Their mission is to provide a unified, student-driven forum of support for students and student organizations dedicated to liberty. They are the largest libertarian student organization in the world. They Identify the top student leaders and train them to be agents of change in their communities. 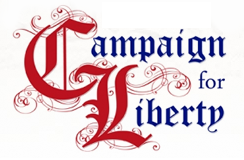 Campaign for Liberty seeks to promote and defend the great American principles of individual liberty, constitutional government, sound money, free markets, and a noninterventionist foreign policy. They do this through education, issue advocacy, and grassroots mobilization. Praxis places participants with small businesses for 10 months. Participants live and work where the business is located and complete a curriculum remotely through an online portal. This is not an internship program at a massive corporation where young people hang out in cubicles and make coffee. This is a rubber-meets-the-road experience, where young people hang out with innovators and make careers. Generation Opportunity is a free-thinking, liberty-loving, national organization of young people promoting the best of America: opportunity, creativity, and freedom. They seek to take the ideals of liberty and appeal to millennials through avenues not previously explored. Foundation for Economic Education seeks to inspire, educate and connect future leaders with the economic, ethical and legal principles of a free society. They seek to make the economic, ethical and legal principles of a free society widely accessible, easily understood, and energizing to young minds. 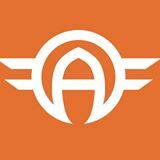 America's Future Foundation seeks to identify and develop young professional leaders for liberty. That mission is accomplished by providing principled young professionals with opportunities they could not find elsewhere including events, a job board, opportunities, the “Free the Future” blog, and chapters throughout the country. This is a convention you won't want to miss. So I hope to see you there. This email was sent to: organizer@yorkteaparty.org. To view as a web page, click here.